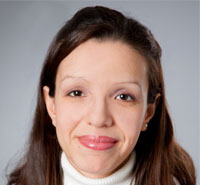 Dr. Nayeli Chavez is a licensed clinical psychologist. She earned her PhD in Clinical Psychology from Southern Illinois University at Carbondale. Dr. Chavez has significant experience working with immigrant, Latino/a and African American communities. She has provided clinical services to individuals and families referred by the Department of Children and Family Services. Dr. Chavez has specific training in a wide variety of evidenced based parenting skills programs for externalizing behaviors as well as culturally congruent parenting skills modalities for Latino/a and African American parents. Dr. Chavez is currently the lead for the Latino/a Mental Health Concentration. She has additional expertise culturally congruent treatment modalities. In addition to her current academic and clinical responsibilities, Dr. Chavez's research and scholarly work includes: Race and racial relations, barriers to mental health service provision of Latino/a clients, culturally based teaching approaches, and implicit racial/ethnic bias. Dr. Chavez has published in some of these areas and has presented her scholarly work at local, national, and international professional conferences. Adames, H.Y., Fuentes, M.A., Rosa, D., &Chavez-Dueñas, N.Y.(2013). Multicultural initiatives across educational contexts in psychology: Becoming diverse in our approach.International Journal of Multicultural Education 15(1), 1-16. Adames, H.Y.,Chavez-Dueñas, N.Y.,Fuentes, M.A., Salas, S.P., & Perez-Chavez, J.G. (2013). Integration of Latino/a cultural values into palliative healthcare: A culture centered model.Journal of Palliative & Supportive Care, 12,1-9. Chavez-Dueñas, N.Y., Torres, H.L., & Adames, H.Y. (2011). Barriers to mental health utilization among Latinos: A contextual model and recommendations. Journal of Counseling in Illinois, 1(2), 49-58.